There are 10 superhero Numberjacks, each with particular characteristics and different strengths. Click here to find out more. 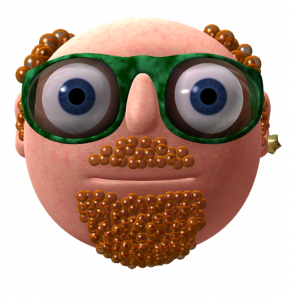 There are 5 Meanies who create all kinds of mathematical problems that the Numberjacks have to put right. Click here to find out more. 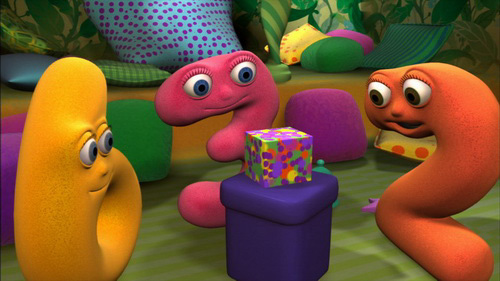 We hope that every Numberjacks experience will combine entertainment and education. We want young children enjoy early maths, problem solving and thinking skills, get off to a good start at school, and have a cheerful and positive attitude towards maths that will last them all their lives. 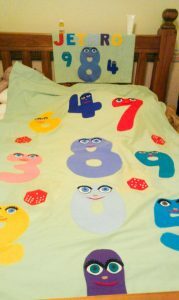 The learning in Numberjacks covers a wide range of topics, including numbers, counting, shape, measurement, movement, position, pattern and problem solving. Click here to find out more. We’ve been sent this wonderful photograph by a Numberjacks fan in Australia – a busy grandmother has made sure that he dreams of Numberjacks! Return to base Review of what happened Setting of a challenge to the audience. The format is structured in a way similar to a scientific investigation, and helps children develop a sense of scientific enquiry. The familiar and repeated format gives the audience security, and enables the programme content to be more varied and challenging. The radio programmes differ slightly, in that each is set in the “world” of a nursery rhyme or children’s song. Within the shorter timespan, there is no room (and less need) for a review. Numberjacks is now on air in more than forty countries around the world, transmitting in Hindi, Spanish, Portuguese, Polish, Finnish, Swedish, Danish, Norwegian, and Italian. 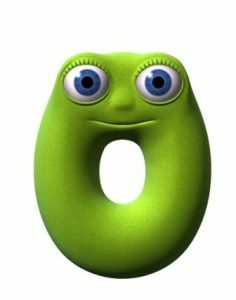 In South America the Numberjacks are Os Supernumeros. The Numberjacks can also be seen in Malta, South Korea, New Zealand and parts of Africa. Look out for Numberjacks if you are going on holiday! 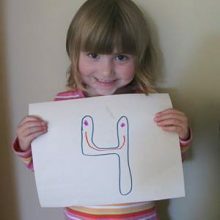 This is a Numberjacks fan from Canada whose favourite Numberjack is Number 4. What a wonderful picture! We like to see pictures of you enjoying Numberjacks. Please send them to us at feedback@numberjacks.co.uk. We especially like to see how children are playing with Numberjacks and to hear about what they are learning and how they are having fun. 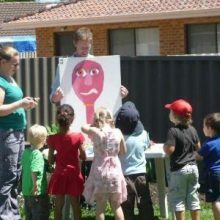 We’ve had some lovely pictures of a Numberjacks birthday party from a Numberjacks fan in Australia. What fun! They even had a Shape Japer pinata.